Looking to gain some insights from 2018’s best event marketing trends? Well this year was all about getting back to the basics of engagement. Today’s audiences expect big things from the events they attend, and engaging people is harder than ever. In a day and age when everyone has access to any and every type of media, we have to work harder to impress those who have “seen it all.” The more personal the event and the more hands-on the experience, the better. In order to deliver in this highly competitive space, we need to constantly adapt and evolve. So, what’s been working in 2018 and how can we learn from those strategies? This past year, a few trends, in particular, stood out to us as truly changing the game in experiential marketing. Cool tech is a must at any event or experience nowadays. It can be as basic as a projection—holographics, anyone? – or even something more advanced, like 3D mapping or VR/AR. However, the tech we’ve seen the most this past year allows for personal engagement. For example, experiencing a product through virtual reality goggles is more memorable than watching a video. At the Detroit Auto Show, MC² helped Michelin give users a chance to “Be the Tire” as they test drove a car in different weather and road conditions using realistic augmented reality technology. 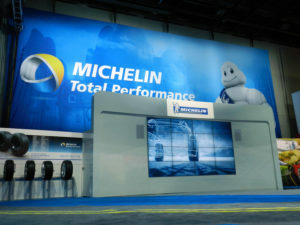 Visitors to the Michelin’s exhibit stood on a platform in front of screens showing images of the tire, which MC² shot from cameras mounted on the fenders of a car in all kinds of weather and road conditions. Through the use of tactile transducers embedded in the platform and within a hand-level dashboard, the simulator conveyed the road’s vibrations to the visitor’s body, enabling attendees to feel the texture of the tire on the road. This event was both an effective advertising and educational experience as well as an entertaining activity. And that’s what made it so successful! Cutting edge technology, especially tech that allows for a hands-on user experience, is a hot trend that’s only going to get hotter. But as a presenter, it’s important to make sure that your message is not lost in the excitement of the technology itself. At the end of the day, if you don’t create an emotional connection to your brand, your audience may remember the experience, but not its purpose. In a surprise to no one, events that are designed to encourage the audience to post on Facebook, Instagram, or Snapchat are all the rage. The content can be as basic as a selfie station or as exciting as a celebrity host. If you can get your guests genuinely excited to share content about your event, you’re doing something right. Of course, as any marketing expert knows, it takes a lot more than asking nicely to get people to tweet about you to their audiences. Intelligent, connected experiences take planning and action before, during and after an event. Be sure that your event integrates social media from the onset as opposed to tacking it on as an afterthought. 2018 brought an explosive growth and interest in live-streaming events, whether these events are epic, earth-shattering announcements or small, community-based reveals. 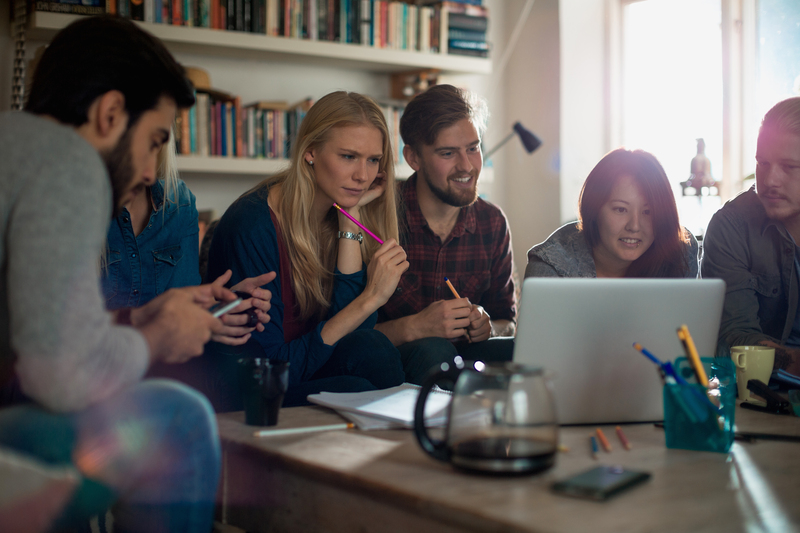 This user-friendly, no-cost or low-cost component is an easy way to create hype and legitimize — hey, it’s filmed, it has to be important — an event, while also receiving real-time feedback and real-time interaction with the target audience. Live streaming has the potential to amplify your reach by an amazing percentage. If you can find a way to encourage your attendees to “invite” their virtual pals, your brand is going to capture more views and clicks. Maybe that’s why we saw more and more live-streamed events this past year than ever before. 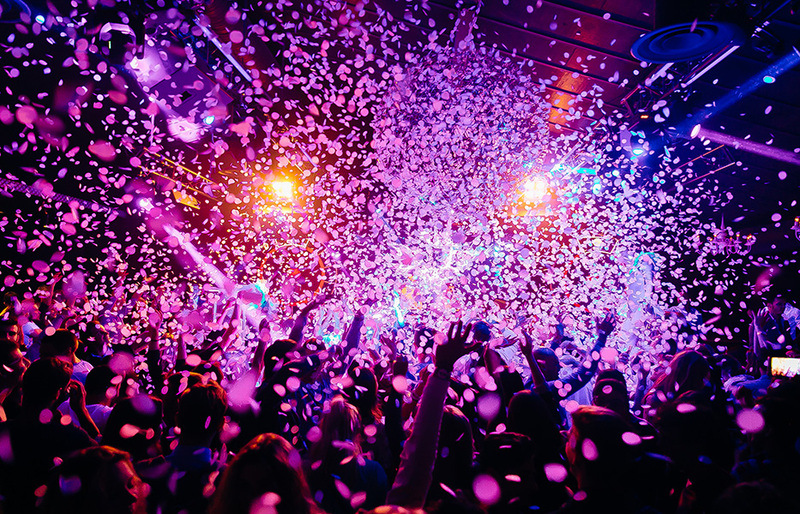 Audiences are hungry for events at funky, off-the-radar locations – it’s that feeling of exclusivity! 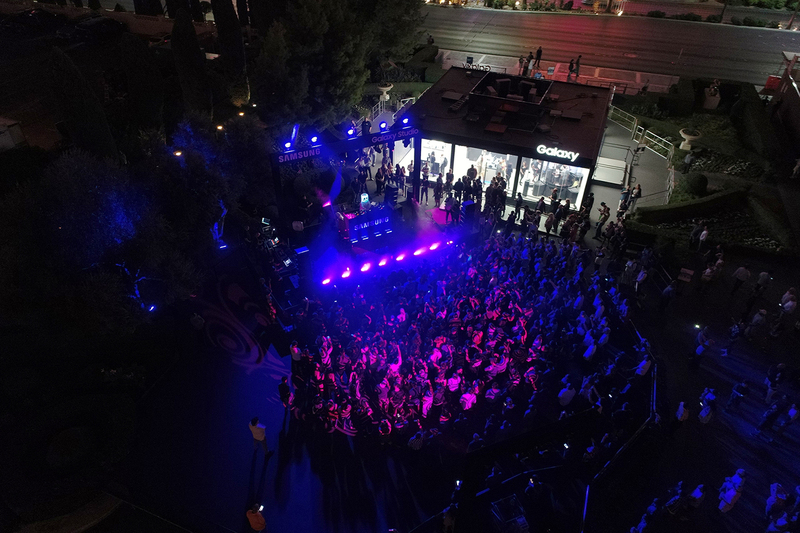 This past year, we’ve seen events trend away from the same old locations like trade shows and conference rooms, to places that guests won’t be able to forget. 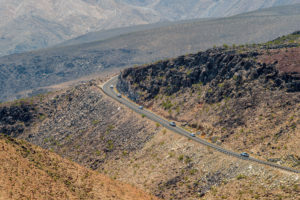 The Toyota Ever Better Expedition, for example, took place across multiple locations throughout the US, Canada, and Mexico, covering more than 18,000 miles in 110 days. The excitement and intrigue of the various locations added to the audience’s overall experience of the event. Since Toyota’s message was thoughtfully tied into each locale through central themes, the unique venues added interest as well as value. When the location is as memorable as the message, you’re on the right track. Simply put, this past year, we’ve seen events trend towards the fundamentals of engagement marketing. Our on-the-go, modern audience is after something unique and special, something that captures their attention and is enticing enough to prompt them to share, especially via social. Want to keep your event marketing exciting in 2019? MC² is dedicated to developing and supporting your events and experiences through innovative design, strategy, and production. Ready to take your event to the next level? Talk to MC² today. We received your request for “2018’s Best Event Marketing Trends”.